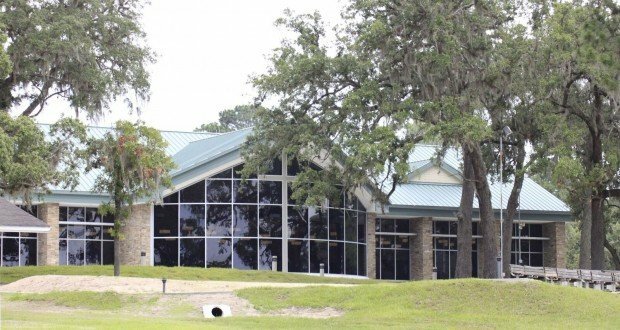 The Salvation Army Keystone Camp and Conference Center is a year-round center, offering a unique, rustic setting for conferences, retreats, camps, school trips and other overnight or day gatherings. 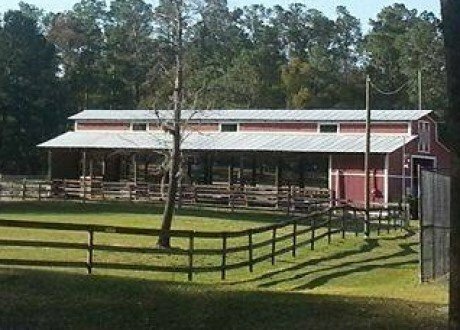 Located in north central Florida on 260 acres and beautiful Bedford Lake, this site offers a variety of lodging and meeting rooms, to suit the needs of groups of all types and sizes. 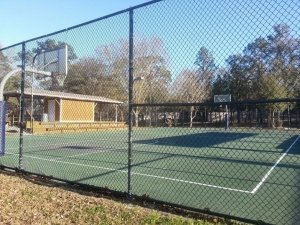 A wide variety of both indoor and outdoor activities makes Keystone Camp and Conference Center an ideal location for both large and small retreat groups. 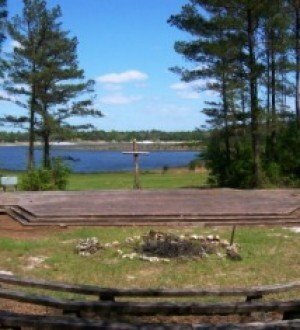 Keystone Camp and Conference Center is available to/for: church or corporate retreats, development/training days, school groups, service clubs, government agencies, nonprofit organizations, weddings, team-building events, and more. 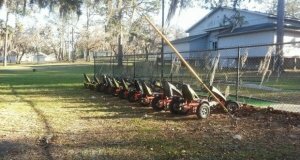 For rental information, please contact Monica Riefer, Guest Services Director, at Monica.Riefer@uss.salvationarmy.org or 352-473-3258. Please note: The months of June and July are reserved for The Salvation Army’s summer camping programs. 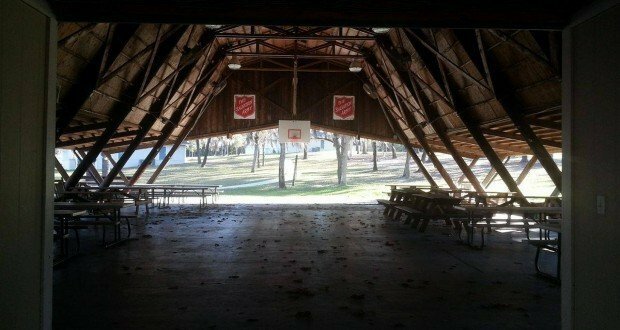 For information on how to register your child to attend Camp Keystone, please contact your local Salvation Army. Built in 2014, this dining and meeting hall seats 600 and can feed well over 800 out of our state of the art kitchen. Sliding walls can be used to close off two private dining rooms which can seat 100 each. 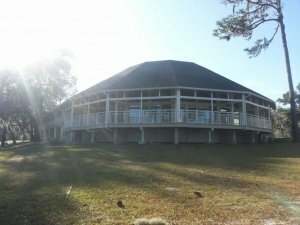 For casual dining the Recreation Hall is a fantastic place for a pic-nic or catered meal. 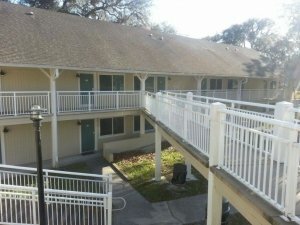 With the deck there is ample space for up to 500 people. There is also a cash canteen in the rec hall that is available upon request, selling sodas, ice cream and snacks. 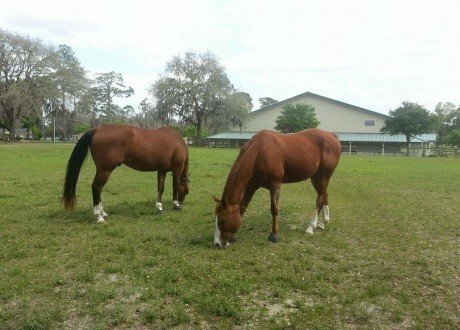 Keystone Camp and Conference Center also offers a full horseback riding program, with many options, with 12 horses. 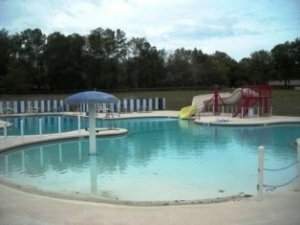 Camp Keystone has a variety of lodging options, depending on the event. Our resort-inspired, Keystone Hotel was completed in August of 2006. 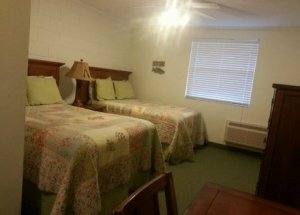 These plush rooms offer you the comfort of resort accommodations with a camping theme. 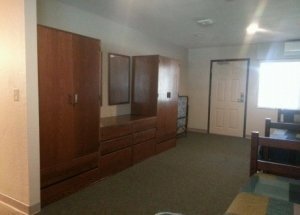 Each of these 3 buildings consist of 11 rooms with two queen beds, and 1 room with one queen bed, that is ADA wheelchair accessible. 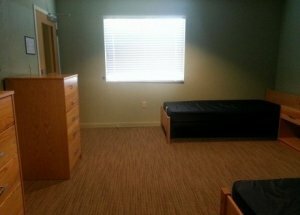 All of these rooms have a private bath with linens provided. Each building also has its own themed lounge for relaxing and gathering. 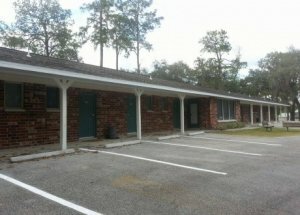 The Inn unit provides 9 rooms with two full beds in each. The Inn was renovated in January 2008. Each of these rooms has a private bath and linens are provided. 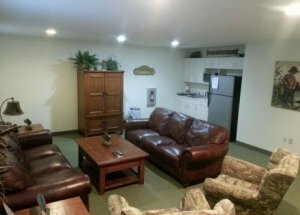 The Inn is also equipped with a small lounge for gathering and relaxation. 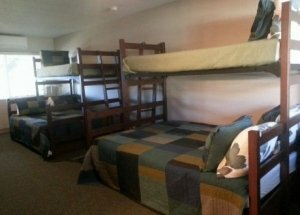 The Keystone Lodge is comprised of 18 hotel-style guest rooms all with sets of bunk-beds with queen on bottom and twin on top. All of these rooms have a private bath with linens provided. The Lodge also has a beautiful lounge that overlooks the lake, which makes for a wonderful, intimate meeting space for small groups or a place to relax. Built in 2013 our 13 cabins sleep 28 total each. 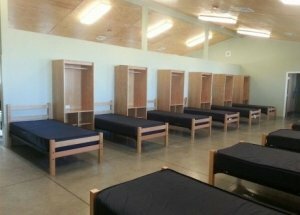 They are split buildings with 12 camper beds on each side, each with a wardrobe. Each side has indoor public bathrooms, including toilets and showers. 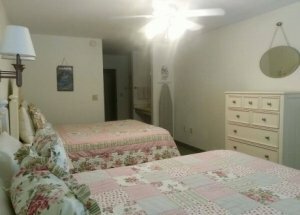 Each cabin also has 2 private counselor rooms with 2 beds each and their own private bathrooms. 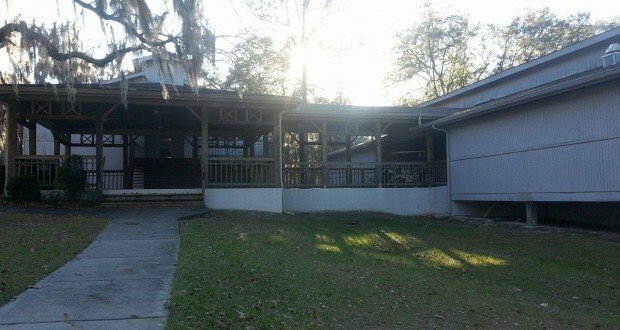 The cabins are air conditioned and also have wifi internet access. 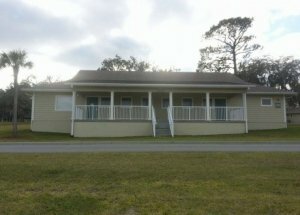 All Cabins are ADA accessible. 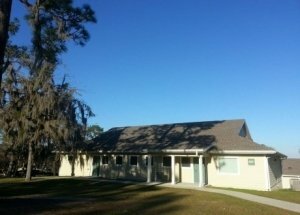 Keystone Camp and Conference Center also offers full hook ups for RV’s and/or tenters. 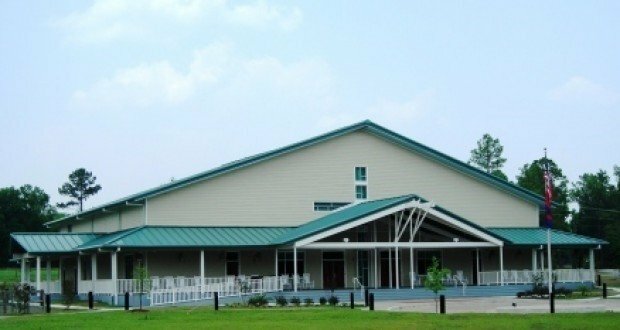 Our Worship and Activities Center is a state of the art facility that can seat up to 800. Fully equipped for all your audio/visual needs, this building has amazing versatility for one large meeting room or one large and four individual rooms. The Conference Center consists of an auditorium which seats 300 theater style and six classrooms which can seat 30 each, theater style. The auditorium is equipped with a sound system and projector for visual presentations. A small kitchenette makes refreshments an easy serve. 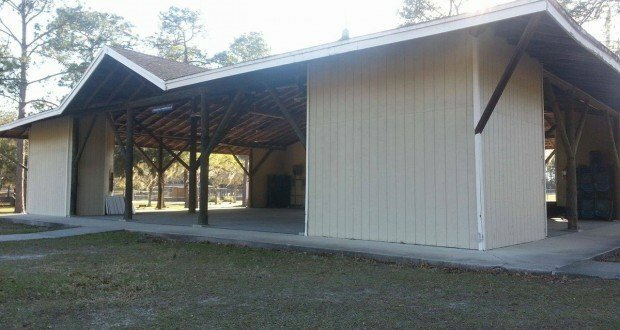 The covered porch at the entrance of this facility is ideal for snacks and/or receptions. 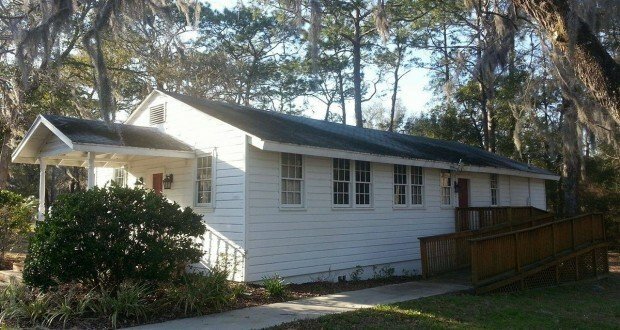 As one of the oldest structures on our grounds, this quaint Country Chapel makes for a perfect location for small worship meetings or group gatherings. With its location at the entrance of our property it is also a great place to have event registration. The tabernacle is a unique structure on the grounds due to its four open sides. It makes a great location for night programs on a cool early fall evening. The tabernacle is also equipped with a sound system and video projector for all your a/v needs. 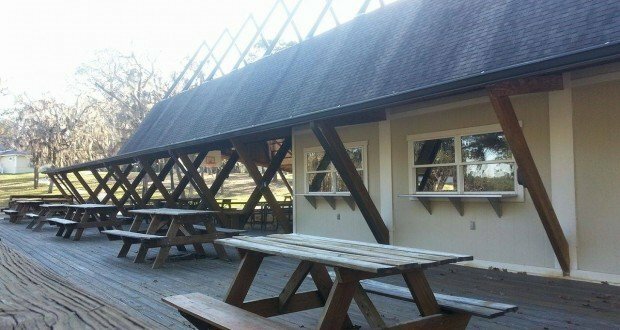 The Recreation Hall/Canteen is a fantastic place for a picnic or catered meal. With the newly added deck there is ample space for up to 500 people. There is also a cash canteen that is available upon request, selling sodas, ice cream and snacks. 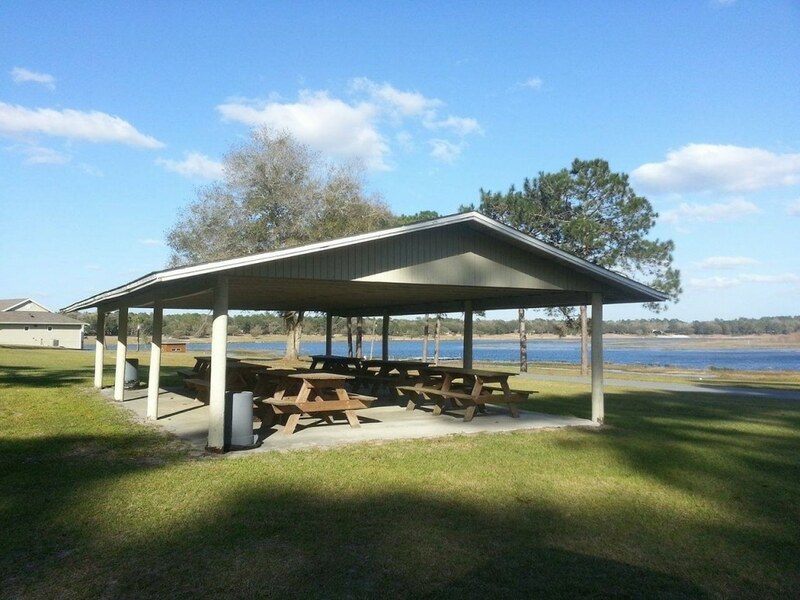 At Keystone Camp and Conference Center, we also have outdoor pavilions which make a great location for small gatherings or a picnic. 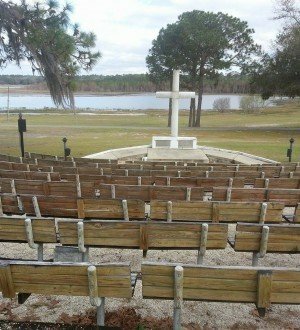 With large stages, sound and lighting, and a cross background, these areas offer a beautiful setting for outdoor meetings, with seating for 300. 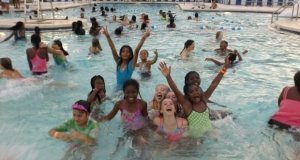 The swimming pool is a camp favorite, complete with beach entry, two diving boards, a mushroom waterfall and a slide. 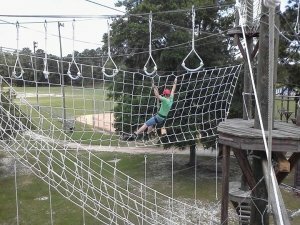 Our high ropes challenge course is another favorite of Keystone Camp and Conference Center. It is a perfect activity for team building or just to challenge yourself. 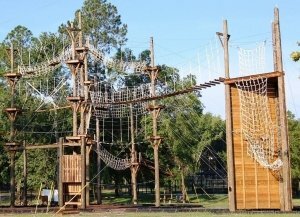 The course consists of a climbing wall, multiple elements of varying difficulty, culminating with your choice of a zip line or giant swing. Low ropes and team building games are also available upon request. 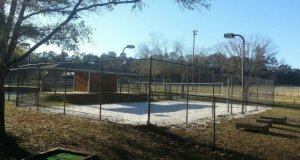 Keystone Camp and Conference Center’s outstanding athletic complex includes a sand volleyball court, a tennis court, basketball court, mini golf, football/soccer field and a softball field. The entire complex can be lit for nighttime activities. 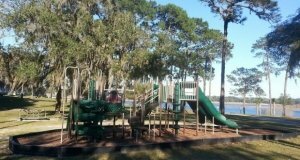 For the younger ones, we have a playground, swings, and merry-go-round. 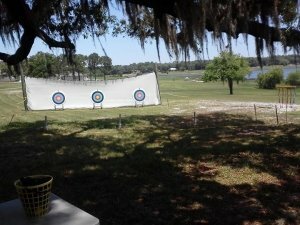 Other activities available at camp Keystone are Shuffle Board, Horseshoes, Pedal Carts, Paintball, Archery, and Gaga ball.